The first four Su-35 fighter jets from a 24 aircraft arms deal between the two allies are to be delivered before the end of the year according to a statement by the Komsomolsk-on-Amur aviation plant. This week the governor of Khabarovsk Krai, a federal area located in the Russian Far East, said in a statement during the opening of a new aircraft production plant that China will receive the first four Russian-made Sukhoi Su-35 multirole fighter jets in consideration of a 24 aircraft deal between Moscow and Beijing signed in November of 2015. From 2016 to 2018, the Komsomolsk-on-Amur Aircraft Production plant will build and deliver a total of 24 Su-35 combat jets to China, the governor said according to RIA news agency as part of the agreement first forged between the parties in late 2015. The fighter jet has a maximum speed of 1,553 MPH (2500kmh) with advanced dry thrust and afterburner capabilities that enhance the aircraft’s dogfight maneuverability and semi-stealth design that makes it possibly the most lethal fighter jet in the sky. The fighter jet comes armed with K-77M radar-guided missiles with a range of over 120 miles (193km) providing pilots with standoff capabilities ensuring pilot protection, an R-74 infrared-guided missiles that allow for targeting by a pilot using a helmet-mounted optical sight, and a thirty-millimeter cannon with 150 rounds for dogfight battles. The acquisition of the Su-35 by the Chinese is a major boon for the country’s defense as well as its avionics industry. China has worked to produce its own turbofan akin to the Su-35’s, known as the WS-10 turbofan, but it continues to underperform the Russian-made AL-117S. If China is able to reverse engineer the technology they may be able to rapidly overcome their avionics gap with the West. Within last 24 hours, truce agreements have been signed with representatives of 4 inhabited areas in the Latakia province. Reconciliation activities are continued in Muaddamet al-Shikh (Damascus province). The total number of inhabited areas, the leaders of which had signed reconciliation agreements, has reached 627. 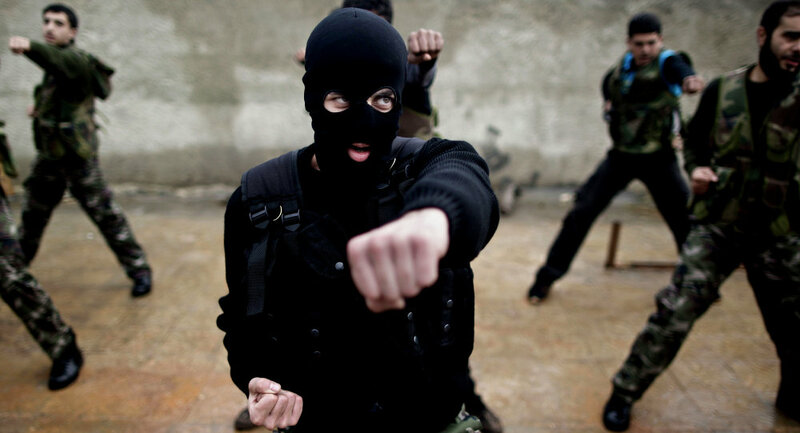 Negotiations on joining ceasefire regime have been continued with field commanders of armed groups in the Muaddamet al-Shikh (Damascus province) and detachments of armed opposition in the Homs, Aleppo, and al-Quneitra provinces. 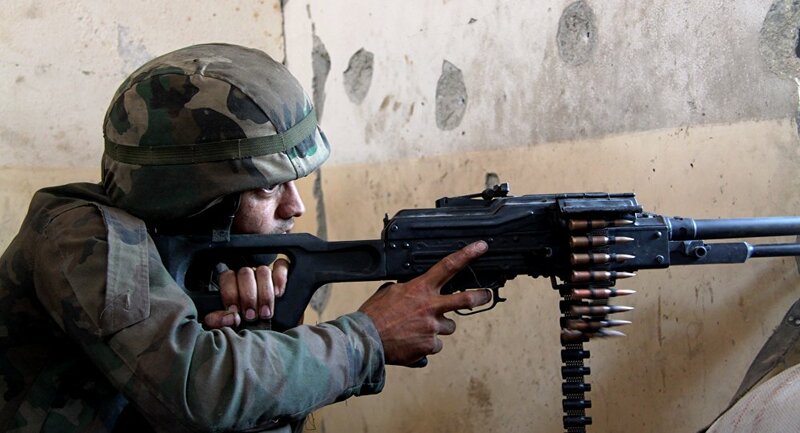 Within last 24 hours, 55 cases of ceasefire violation have been registered from the side of illegal armed formations in the provinces of Aleppo (27), Hama (7), Damascus (11), Homs (2), Latakia (6), al-Quneitra (1), and Daraa (1). In total, 199 cases of ceasefire violation have been conducted by illegal armed formations since the renewal of the ceasefire regime. In the Aleppo province, illegal armed formations have fired improvised MLRS, mortars and AT missile complexes against farms in Sheikh Ali Kobtani, al-Zahraa, Ramusi, 1070, Dar Menyan, al-Makhamed, Dakhiya al-Asad, Halab al-Jalid, al-Masharka, and Leramon quarters as well as Kastello trade center, Atawari school, gas and cement plants in the Aleppo city. In the Damascus province, Jaubar Harasta, Haush Nasri, Huteita al-Jarash, Haush Harabu inhabited areas, Ibn al-Walidi hospital, and farms in Khan al-Shikh have been shelled with mortars. In the Hama province, Maan, al-Mahruk, Shajar, Skandariya, Hadjar, Maharda inhabited areas as well as an airfield in the Hama province have suffered shelling with improvised MLRS and mortars. Terrorists have also shelled the Shillif fortress and Nahshebba in the Latakia province, al-Manshiya quarter in the Daraa city, and Jubbaita al-Hashab in the al-Quneitra province. In the Homs province, terrorists have fired BM-21 MLRS and mortars against Teib Garbiya inhabited area, and Bayaza quarter of the Homs city. Low-income families of the Manzul inhabited area (Homs province) have received humanitarian cargo (more than 2 tons) with sugar, flour, rice, canned meat and fish, tea, and medical items. The Syrian government guarantees safe moving of humanitarian cargos through under-controlled territories. However, problem of safe moving through territories controlled by forces of the moderate opposition, which is influenced only by the US, has not been solved yet. Leadership of the Center for reconciliation of opposing sides in the Syrian Arab Republic have sent the letter to W. Wood, the head of the US interservice delegation to Geneva, informing that the moderate opposition had broken the ceasefire regime. The letter also contained information about concentrations of insurgents in the north of the Hama province, and possible attacks by carried out by them. The Russian party asked the American colleagues to influence on the opposition leadership in order to hold them from a rush venture. The Russian party also informed the American side about intention of the command staff of the Syrian government troops to take retaliation coherent measures.